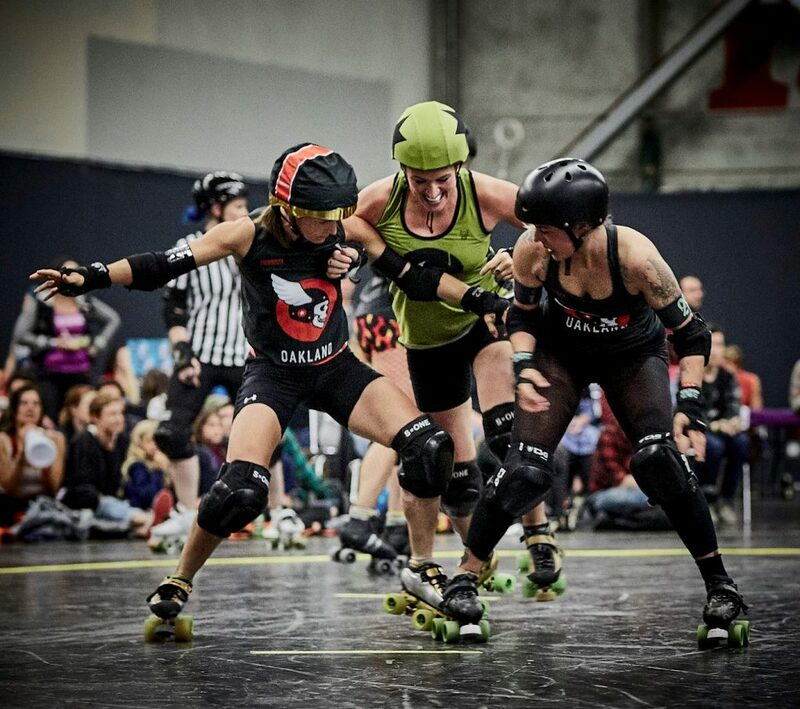 The Outlaws are led by coaches Esteemed Bun Bun (#42)–a notorious Outlaw since 2012 who dominates with intensity, speed, and precision–and Grim Reeba (#666), who proved herself a fierce competitor last season after being drafted to the Outlaws straight out of BAD’s Reckless Rollers program and BAD Beginnings Boot Camp. 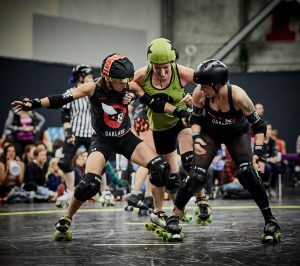 The Outlaws are building a unique chemistry that comes from a blend of strong, experienced, skaters and mentors like Dreadzilla (#333), Lethally Blonde (#45) and Legs//Cité (#1395), in addition to returning skaters at early stages of their careers and newly drafted rookies. 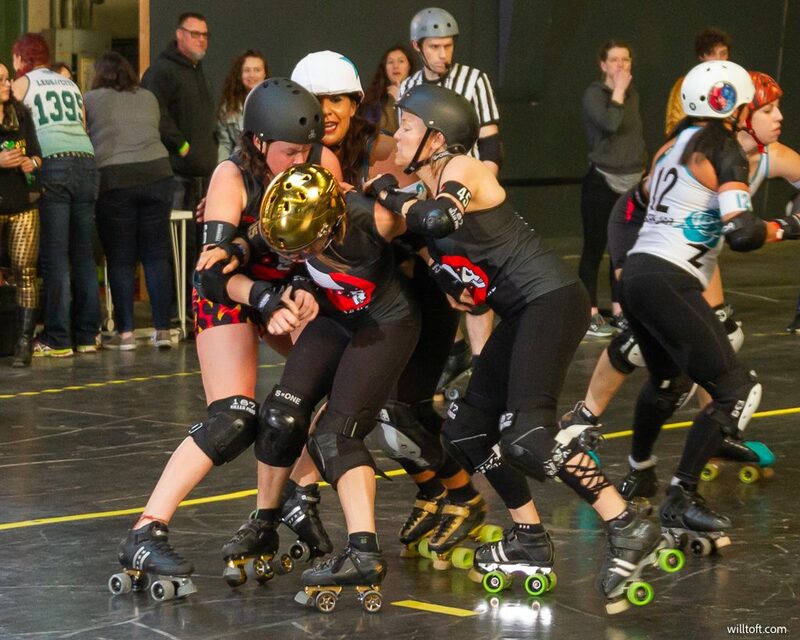 This year, the team welcomes Luna Shovegood (#16), Maya (#847) and Foxosaurus (369) as early season draftees. 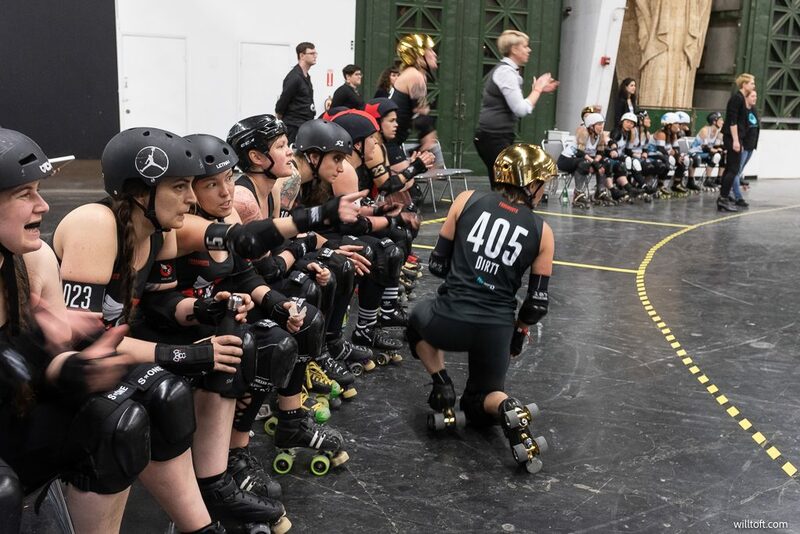 Evolving team strategies involve difficult-to-counter offense and fleet-footed jammer work characteristic of the Outlaws. 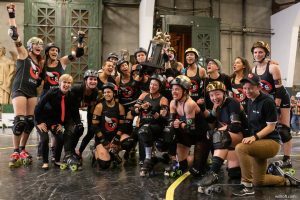 The team plays their first bout of the season against the ravenous zombies of the San Francisco ShEvil Dead on April 20th at the Palace of Fine Arts. 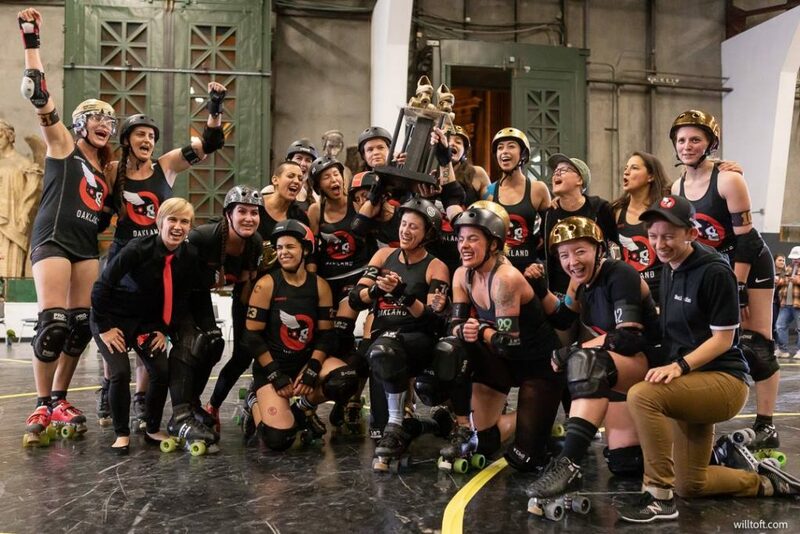 Will they be able to defend their title as League Champs all the way through August? 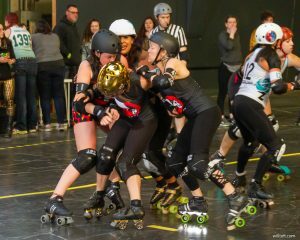 Or will Berkeley and San Francisco give the Outlaws a tough fight? Only time and scores will tell!